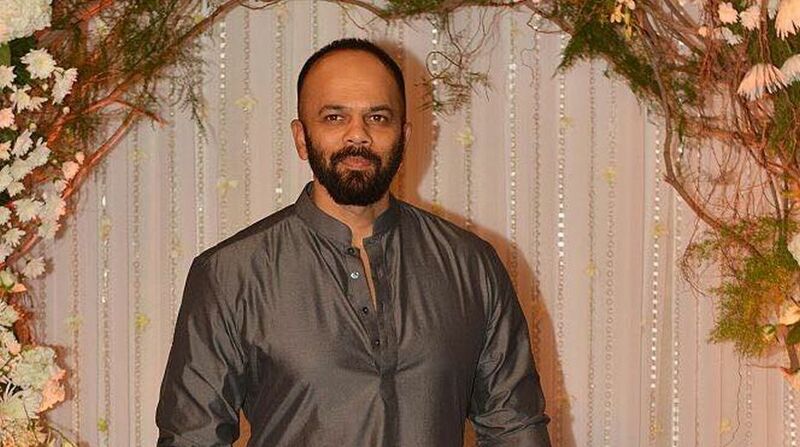 Filmmaker Rohit Shetty, who scored a hit with Reliance Entertainment-backed Golmaal Again in a year which has seen Shah Rukh Khan and Salman Khan’s films fall flat at the box office, says a good commercial movie will always work. During a conversation on Saavn’s Take 2 with Anupama and Rajeev, Shetty was asked if there was any sort of anxiety about the fact that a chunk of commercial films were rejected in 2017 before Judwaa 2 and Golmaal Again came, read a statement. Shetty said: “No… What has happened is that just because you have a big star, you tag it as a commercial film. I don’t see ‘Tubelight’ as a commercial film. Whereas Salman Khan’s ‘Tiger Zinda Hai’ is a commercial film — you can make out, there is action, there is song and there is everything what a Salman Khan film should be like. “And I really admire and respect Kabir (Khan) for taking Salman Khan after Bajrangi (Bhaijaan) and making a film like Tubelight. It didn’t work, that’s a different story altogether but at least he was honest in what he was doing. So I don’t see Tubelight as a commercial film. As for himself, he says he doesn’t know if there’s a success formula. He went wrong with Dilwale. Shetty is himself a fan of director Rajkumar Hirani. “I have a lot of respect in my heart for him because I think he is the only director who can pull off a commercial film with so much value and so much of message. He is the only commercial director who can cater everyone. If you watch a Raju Hirani film, it has everything. The class that Raju Hirani brings in is amazing. “I think he is the finest director we have in our country or in the world I would say,” he said of Hirani, known for movies like the Munna Bhai series, 3 Idiots and PK. Talking about whether he feels angry that he doesn’t get the respect he deserves, Shetty said: “Earlier I used to, but now I know that it’s never going to happen ever in my life. But you know what, because of television, I think I’ve calmed down. And when I say television, it’s because people know who Rohit Shetty is, you become a brand because of that and then you start meeting people when you’re travelling, you’re at the airport, in the gym or you’re with your family at a mall or a restaurant. Shetty has been a part of reality TV show Khatron Ke Khiladi as host.